His face is tattooed in black, he has a double-bladed light saber, but poor use of the Force. Darth Maul has always been a cold-blooded killer, a violent man of few words. Born to be a killing warrior, trained by Darth Sidious, he lives solely to destroy the Jedi knights. A long time ago in a galaxy far, far away... The number one star saga in the world is back! Grab your laser swords because there will be no truce. Who will save the Galaxy from the Dark Side? 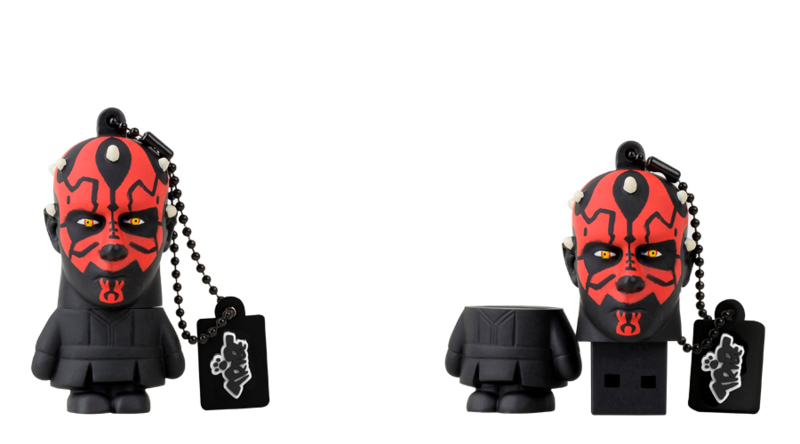 Sixteen USB flash drives divided into two groups - Light Side and Dark Side. Collect them all!